High-Performance Lubricant for Engines and Transmissions. 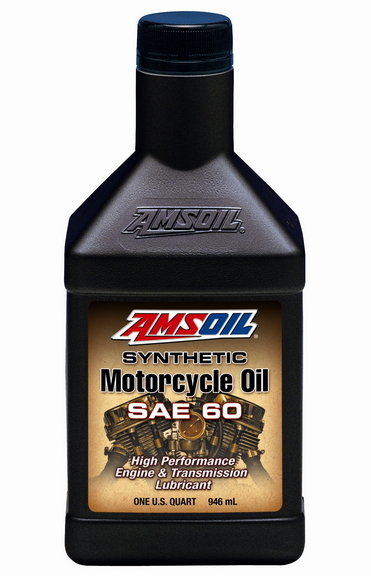 API SM, JASO MA, API GL-1 AMSOIL 20W-40 Synthetic V-Twin Motorcycle Oil is multi-functional and engineered for Victory® and model-year 2013 and newer Indian® motorcycles. Formulated with the highest performance state of the art additive technology. Highest heat resistance. Multi-functional. 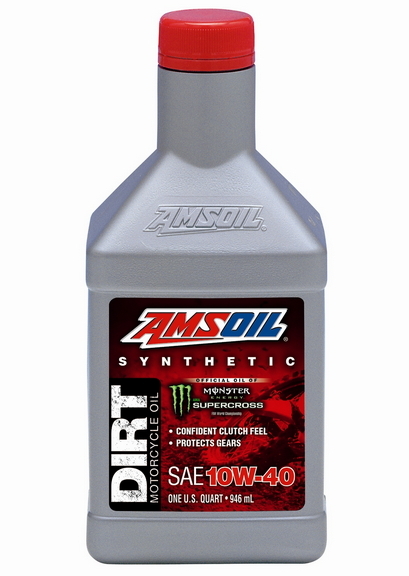 10W-40 Synthetic Dirt Bike Oil Designed to improve the performance of bike and rider. Consistent clutch feel is the result of “friction durability,” so whether deep into a race or deep in the woods, riders can feel confident their clutch will perform from start to finish. 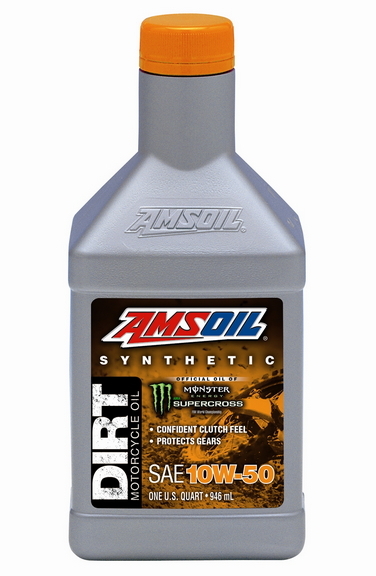 10W-50 Synthetic Dirt Bike Oil AMSOIL Synthetic Dirt Bike Oil’s superior friction-durability properties minimize clutch slippage, fade and chatter. Consistent clutch feel at takeoff. 10W-60 Synthetic Dirt Bike Oil Designed to improve the performance of bike and rider. AMSOIL-exclusive advanced chemistry provides outstanding engine reliability for worry-free operation under severe conditions. SAE 60 Synthetic Motorcycle Oil API SG, SL/CF • JASO MA/MA2 • ISO-L-EMA2 • API GL-1 The result of extensive research, it is specially formulated to excel in all areas unique to motorcycles, including high engine RPM, wet-clutch lubrication and more. 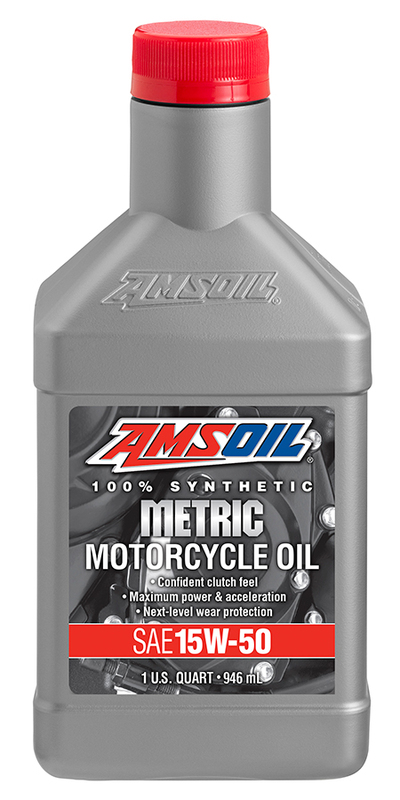 Synthetic V-Twin Transmission Fluid AMSOIL Synthetic V-Twin Transmission Fluid is specifically designed for bikers who prefer a dedicated transmission fluid over a multi-use lubricant. 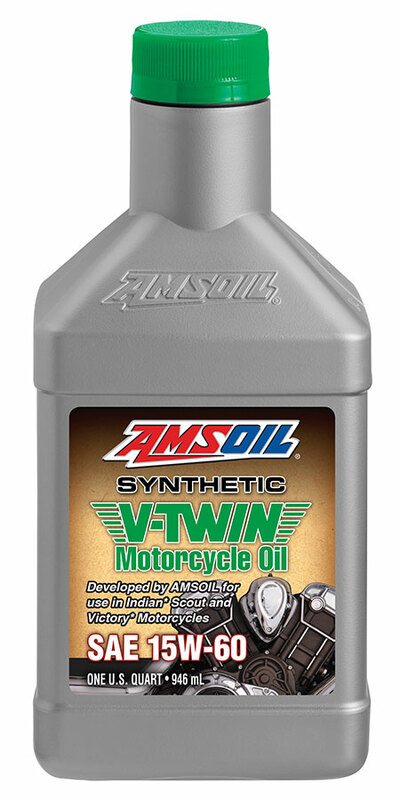 Synthetic V-Twin Primary Fluid AMSOIL Synthetic V-Twin Primary Fluid. Purpose-built primary chaincase lubricant for longer component life and increased efficiency.